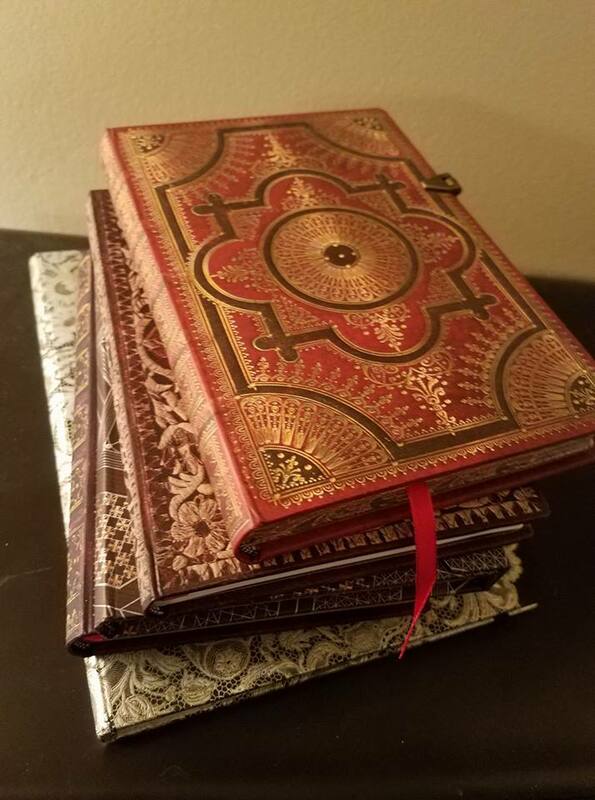 Your journal, kept over time, will become many things: your personal encyclopedia of symbols, your data log for experiences of supernormal phenomena like precognition, telepathy and synchronicity, your stealth writing course, a sanctuary and place of healing, a sacred space where you dialogue with your Self. Journaling is a practice, and as in any true practice, you have to earn the right of admission to the more advanced levels. In this article, you'll find wonderful games you can play with your journal any day, at any level of practice. Now I am going to offer six deeper games to play with your journal when you’ve been keeping it for a while and have gotten into the practice of looking over "old" material that may prove to be highly relevant to your current life. I doubt that you'll understand all that your journal will be for you until you've been keeping one, with dedication, for at least five years. However, the time is always Now, and if you are ready to play, jump in! “Bibliomancy” is the fancy name for opening a book at random to get guidance on a theme, or simply the quality and content of the day. In Western countries, over the centuries, the Bible has been the hand-down favorite as a book oracle. Abraham Lincoln used to open his family Bible – the one on which Barack Obama took his oath of office – to get a message for the day or a second opinion on the meaning of a dream. I enjoy doing bibliomancy with my old journals. One Christmas Eve, after learning that a friend had developed a serious illness and was having other major troubles in her life, I reached blindly into a shelf of 30+ old travel journals, grabbed one without looking at the date, and opened it at random, I found myself looking at a short dream report from five years before. The dream was about my friend. It stated that she had “accepted Purgatory for a year. This Purgatory is a room in her home that opens into the same realm.” I shared this report with my friend, and we began to work with the meaning of “acceptance” and of “Purgatory”. Our mutual exploration provided assurance that “this too shall pass” and that a year in “Purgatory” would result in healing and new growth, as proved to be the case. Are you running away from something in your dreams? Ask yourself when you tend to run away from something – a person, an issue, a necessary conversation – in regular life. Does your dream self have supernormal powers? Can she fly, or knock villains down like ninepins? If so, then ask yourself where you might be able to draw on her courage and powers in the rest of your life. 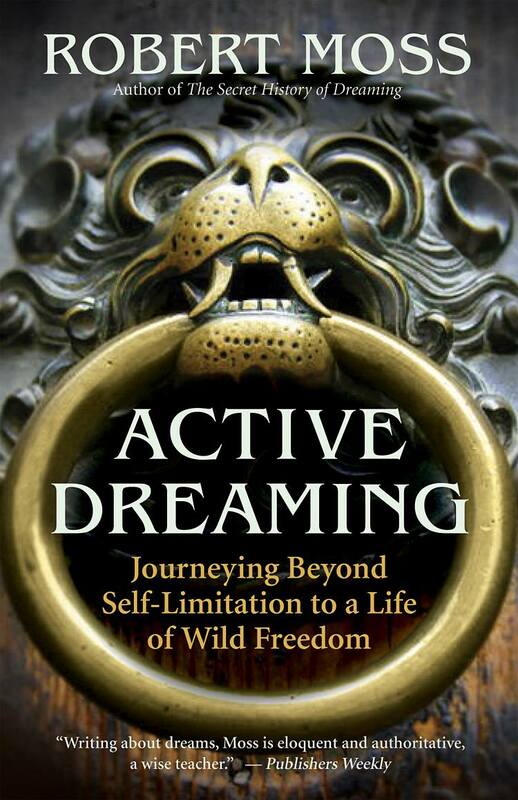 Comparing the behavior of the dream self and the waking self is highly instructive. We may also find that bringing gifts and qualities from one realm into the other can be tremendously healing and empowering. My waking self may be able to bring courage – the determination to brave up to a challenge – to a dream self that is frightened or frozen. My dream self who is fluent in another language, or can breathe underwater, may be able to give me the power to expand my vocabulary of understanding, or to operate with ease in a new environment. Sit down with your journal and imagine yourself talking to a character from one of your dreams. Since everything is alive in dreams, you can call anything from a dream – a horse, a house, an 18-wheeler – to talk to you. You can call up every character and element from a dream to explain themselves in turn, if you like. Dreams give us clues that require sleuthing, but sometimes our best attempts to follow up these leads don't get far and we move on to other things, leaving a mounting pile of "cold case" files. I pick up a lot of unfamiliar names, foreign words, and curious phrases in dreams and - especially - in the twilight state of hypnagogia, and I have found it extraordinarily revealing to track these verbal clues. 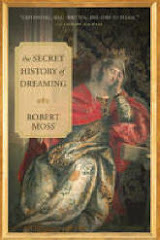 In the era of googling, this is much easier than it was over most of the decades I've been keeping a journal, so I am now reopening dream files I had closed and making some exciting discoveries. One of those funny words, from a 1994 dream, has led me to an archeological site in Nigeria where the human remains date from 10,000 BCE. Another is guiding me, in the most practical way, on professional decisions I'll be making over the next couple of months. I often type my journal reports directly into a computer, to save the time required for transcription from a manuscript version, and to get round the problem of finding it hard to decipher my own handwriting. When I write by hand, however, I find there’s an artist in me who wants to come bursting through. Suddenly the pages facing my text reports are filled with drawings that may then demand to be colored in or painted. Some of these drawings occupy successive panels like pages from a graphic novel. The famous movie director Fellini, who started out as a cartoonist, kept dream journals that are primarily visual. Many dream journalers find they have a poet inside. Or a songwriter. Sometimes a whole poem or song is delivered, complete and intact, within a dream, or in that fluid in-between zone of sleepwake, dorveille. Some dream reports turn into poems rather effortlessly, with a little editing. Every dream contains a story; some want to be stories in the fuller and finished sense, and journaling will get you there. I can’t recommend this practice too highly. For any writer, as for Thoreau, it opens treasuries of material and above all it supports the writing habit. Playing around with old notes removes the terror of the blank page. When you dip into an old journal, you are never at a loss for a theme. The simple processes of selection, arrangement and retitling will fire the imagination. Before you know it, you’ll be in the midst of writing something new. As you tend your secret book over time, you'll discover more, and more will discover you. You'll find yourself straying off the tame and settled territory of the everyday mind, into the wilder borders of imagination, where the Big story of your life can find you. You may discover, as I have done, that your journal is the most important book you will ever write, and quite possibly the most important book you will ever read.